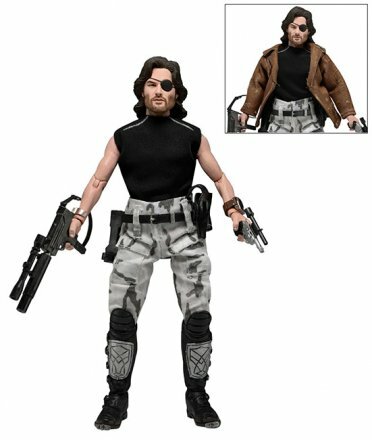 Based on the 1981 film Escape from New York, and featuring the likeness of actor Kurt Russell! This poseable 8″ figure is dressed in fabric clothing similar to the toy lines that helped define the licensed action figure market in the 1970s. Snake wears his iconic camo pants, muscle tee and assault boots and comes with a removable jacket, holster belt, and enough weaponry to take down a small army. Blister card packaging with removable protective clamshell. Released in late 1993 for the popular 16-bit home console, the game answered the burning question of sci-fi fans worldwide: which man/machine would win in a fight? The “future of law enforcement” or the actual future? The 7″ figures have paint deco that re-creates the video game shading and are fully articulated. 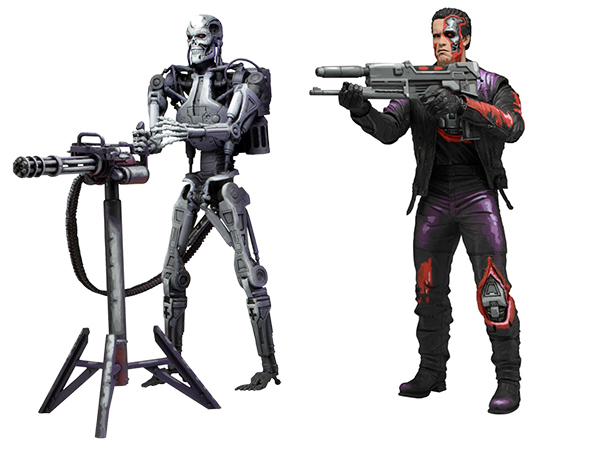 Series 1 includes two versions of The Terminator: T-800 with Plasma Rifle, and Endoskeleton with standing Heavy Machine Gun. 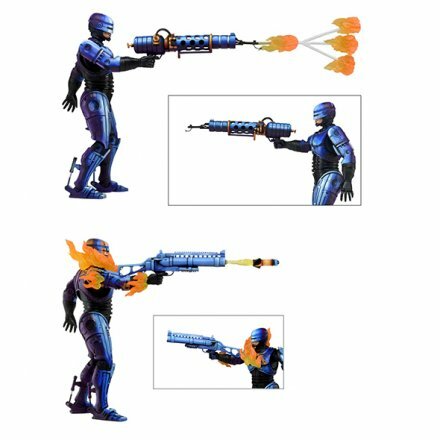 Series 2 includes two versions of Robocop: Flamethrower Robocop includes massive flamethrower with removable “flame spray” attachment, and Fire-Damaged Robocop is partially covered in sculpted flames and comes with rocket launcher and laser pistol. Both series will be available in October.